In early January Chamber members were invited to provide feedback to the Chamber board as they considered two sales tax questions that were tentatively slated for the Spring City of Grand Junction election and over 300 of you responded. 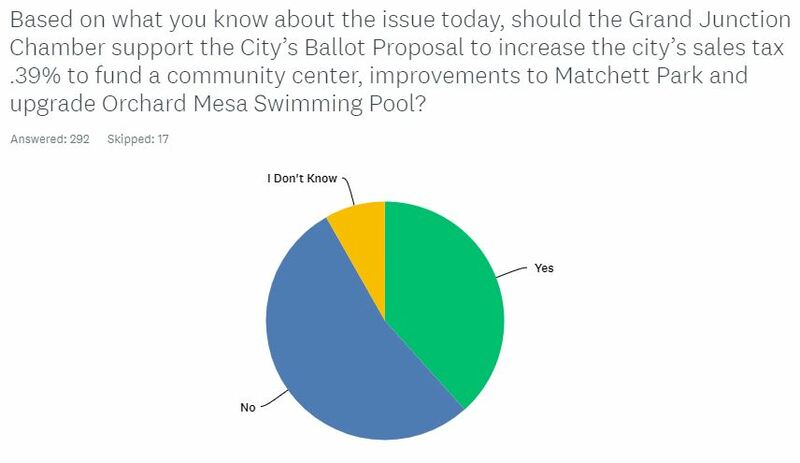 One of those questions that was referred to the ballot is asking voters to fund a permanent .39% sales tax dedicated to the construction and operation of a recreation center and outdoor amenities at Matchett Park along with upgrades to the Orchard Mesa Pool and Gym. 156 respondents indicated we should not take a position of support for the measure and 112 indicated we should. There over 100 comments submitted as well. As a result of the division of opinion the Chamber Board voted to remain neutral on the issue. 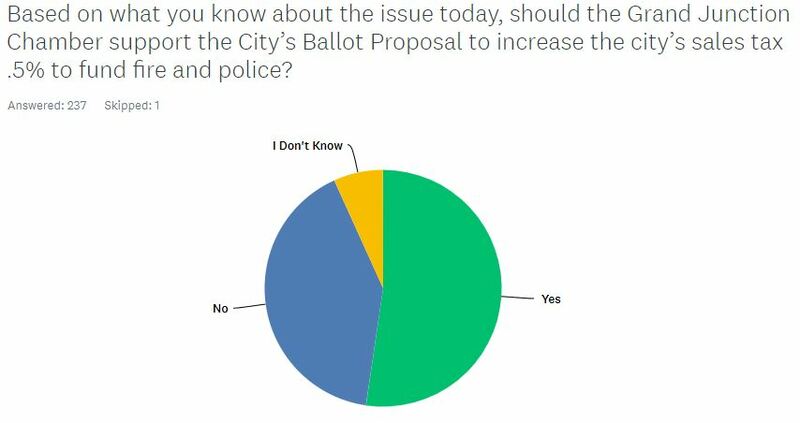 Questions about raising the city sales tax questions for first responders and transportation were actually submitted to members twice and the measures changed before ultimately being placed on the ballot January 28th. The board is awaiting the final results of member input due February 4th before discussing how or if the Chamber will weigh in. 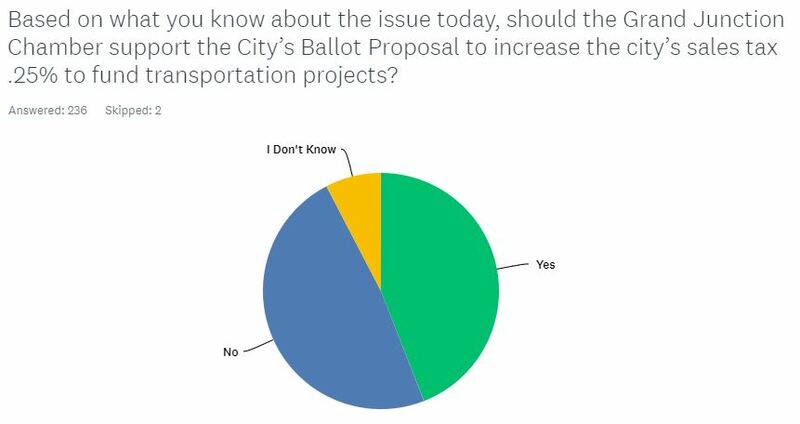 As of press time 238 responses had been compiled with 52% indicating the Chamber should support the first responder question and 44% indicating the Chamber should support the transportation question.